With years of event experience, Artificial Ice Events provides synthetic ice rink rentals and other unique winter themed inventory to create a winning combination that other companies cannot duplicate. Artificial Ice has the ability to execute simultaneous events in virtually any location whether it's for corporate parties, promotions and product launches, mall attractions, or school events. There are hundreds of happy clients including Disney, Coca-Cola and ABC. 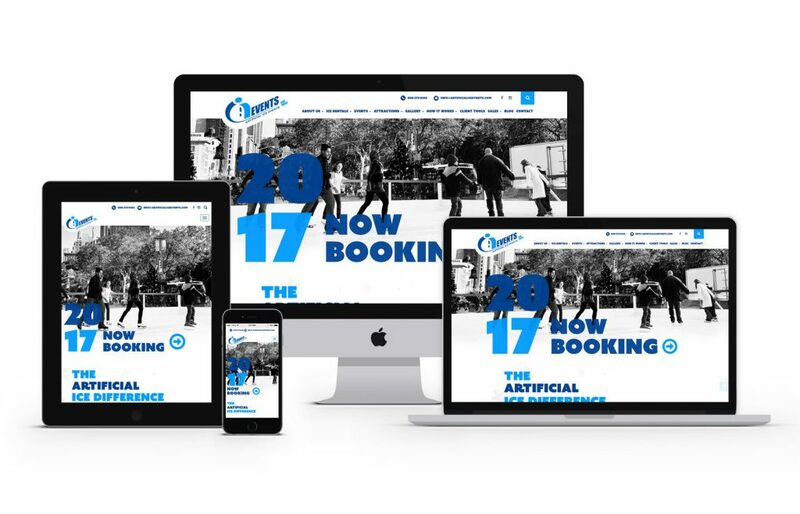 GoingClear Interactive was responsible for the web design and development of the new Artificial Ice Events website. 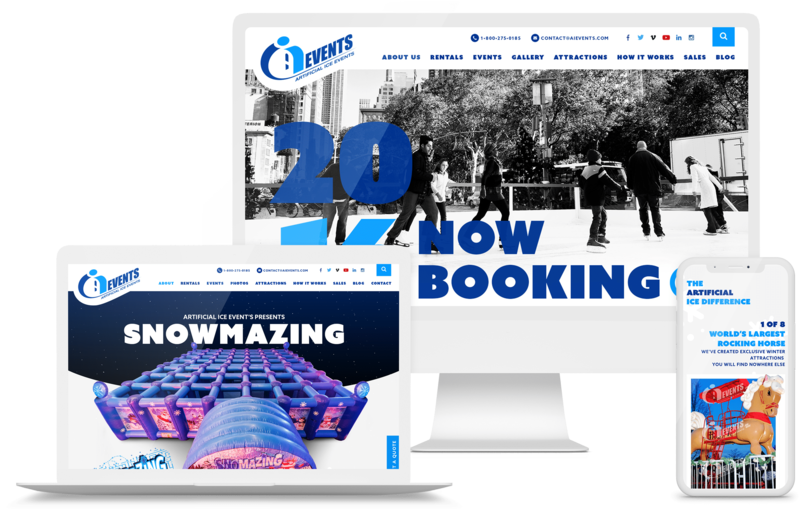 With Artificial Ice Events being in the entertainment services space, we really focused on creating engaging, custom-enhanced product detail pages through interactive experiences. We wanted to "wow" visitors and allow them to really experience the brand. This included incorporating animated snowfall effects, photo gallery albums and pop-up photos & YouTube videos that work on all devices, and super-fast Ajax slideshows throughout the site. There is also a password protected Client Tools page and website Search functionality, making it easy for both clients and prospects to find what they need. 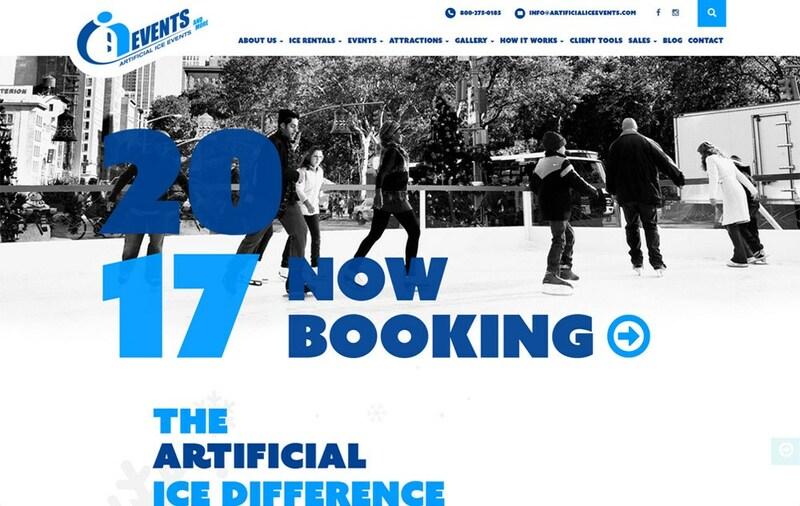 The new Artificial Ice Events website was built using WordPress as the CMS (Content Management System), so all photos, text and tables are easy for the client to edit. The website is responsive, so it is both mobile and tablet friendly.